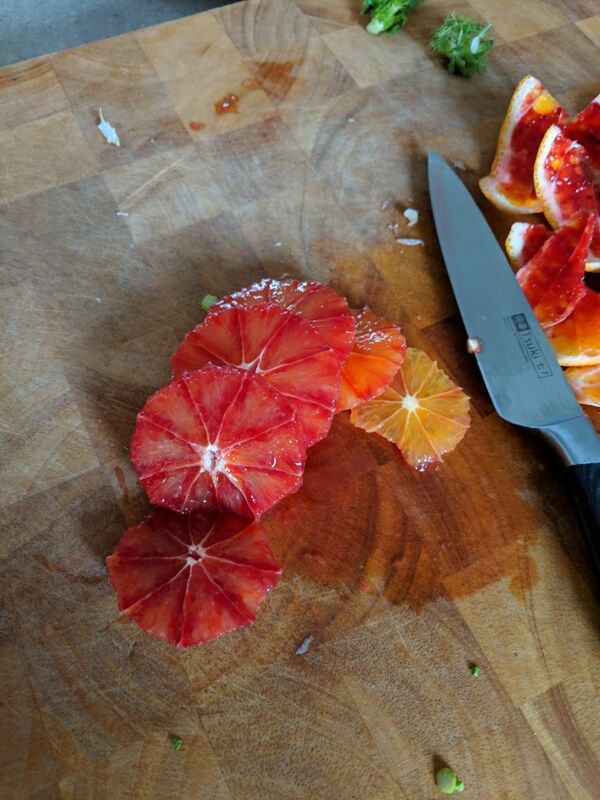 I love it when blood oranges come into season. They’re beautiful blushing red colour, bursting with juicy orange flavour that has slight raspberry twang, has got to be one of the best tastes of winter. 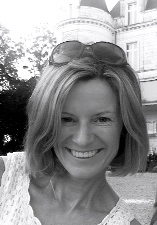 It also signifies to me that spring is on it’s way yeh! 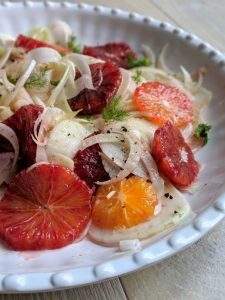 Although in winter it’s lovely to eat lots of steaming hot casseroles, delicious Sunday roasts and comforting bowls of soup, I also like to cut through the richness with something citrusy like this salad. Crisp and crunchy fennel, sweet and juicy orange, it’s the perfect winter salad. It’s also incredibly quick and easy to make. 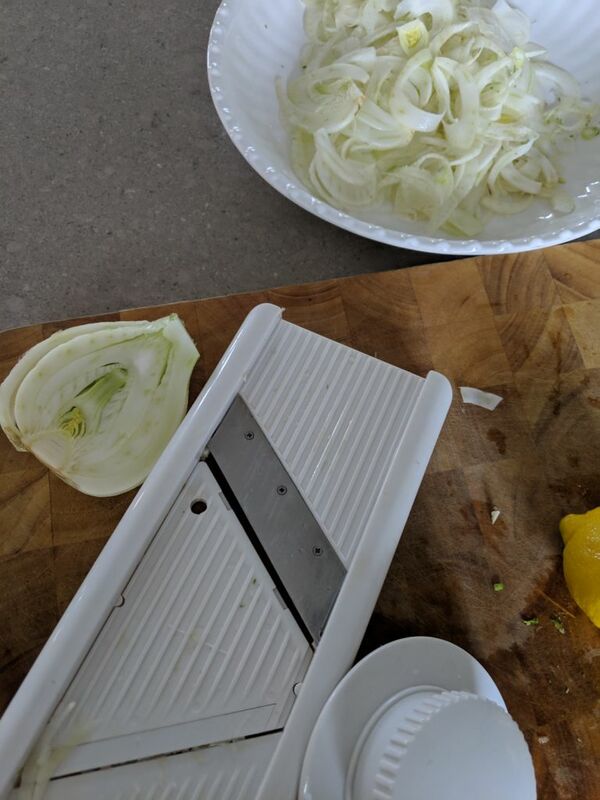 I like to use a mandolin to slice the fennel as it makes it much easier. If you haven’t got one then I recommend you buy one as they are a really good kitchen gadget to have. You don’t need to spend a lot of money as the plastic ones work really well. In fact I picked up one in a second hand shop for £3.00 so it’s worth a rummage! Take the fennel and cut of the tips reserving the feathery fronds. 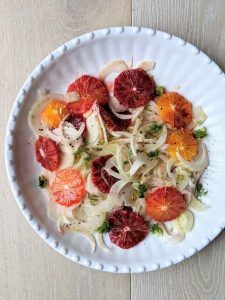 Cut the fennel in half vertically, then using a mandolin or sharp knife slice the fennel as thinly as possible and place in a bowl. Squeeze over the juice of a lemon and toss well to stop discolouration and also this starts the ‘marinating’ process. 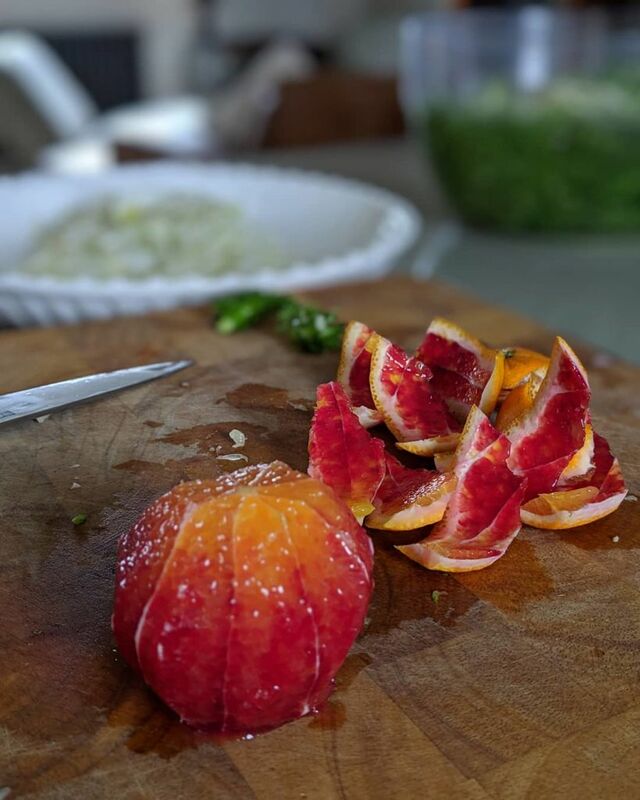 Using a sharp knife, remove the skin from the oranges and cut them into thin slices. Add these to the fennel with any juice left on the chopping board. Season the salad with a little sea salt and freshly ground black pepper and drizzle over a little olive oil. Toss well then add the reserved fronds and leave for 15 minutes to marinade before serving. If you like this salad you might also like to check my pink radicchio and blood orange salad too.